Coaching is a supportive partnership that empowers participants with the tools to find solutions and move their families forward. 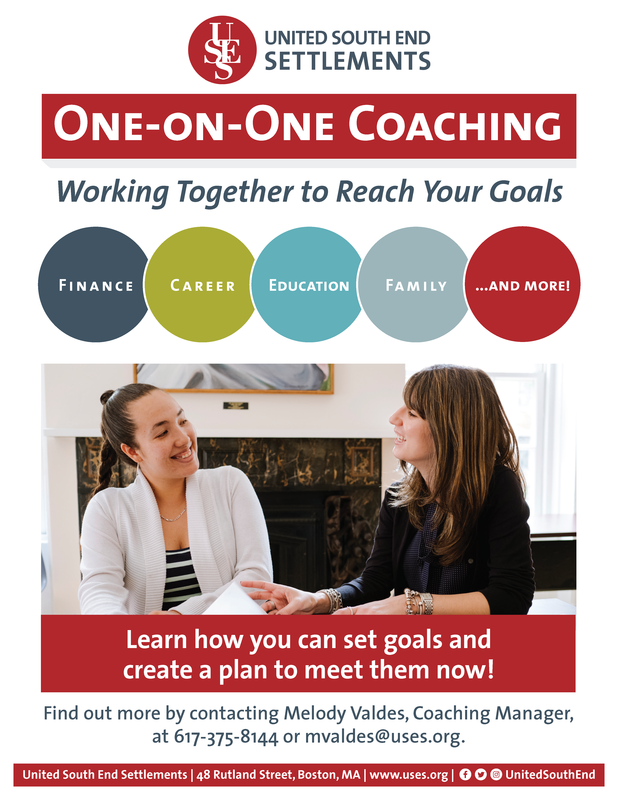 Participants work with a coach to create an individual employment plan; identify and pursue career goals; develop better self-awareness and resiliency; access resources; and find strategies to increase financial stability. Our coaches help participants set goals, identify concrete steps toward meeting those goals through an action plan, and provide bi-weekly check-ins on progress and to help keep them accountable. We focus on building success in five areas: career, finances, family, education/training, and community connections. Coaching participants also receive income maximization services. We provide income supports screening to all participants upon entry into our program and, once potential sources of support are identified, we offer assistance in connecting to public and private benefits. This includes transportation, in-house childcare, housing, SNAP and other public benefits, as well as referrals to external support services as needed. Coaches also provide a wealth of knowledge about resources, including referrals to – and support in obtaining – additional services around health and basic needs, further education and vocational training opportunities, and specialized services to meet needs beyond our expertise. For more information on coaching, contact Melody Valdes at mvaldes@uses.org or 617-375-8144. To join Coaching, click here to fill out an Interest Form. Coaching participants may apply to our Training for Office Jobs program. Contact Adella Ryan at aryan@uses.org or 617-375-8196 to learn more.